Arriving at the bus station in Athens very early in the morning, I decided to take a taxi to Sea View Hotel in Glyfada where my friends had checked in the night before. Glyfada is a suburb in the southern part of Athens, also known as Athens Riviera. We started out easy, and just walked down to the beach just across the street from the hotel. We had to pay 4€ entrance fee, but that included the sun bed, very nice toilets and changing facilities. The area also had a pleasant restaurant. We spent most of the day just relaxing and cooling down in the fresh seawater. 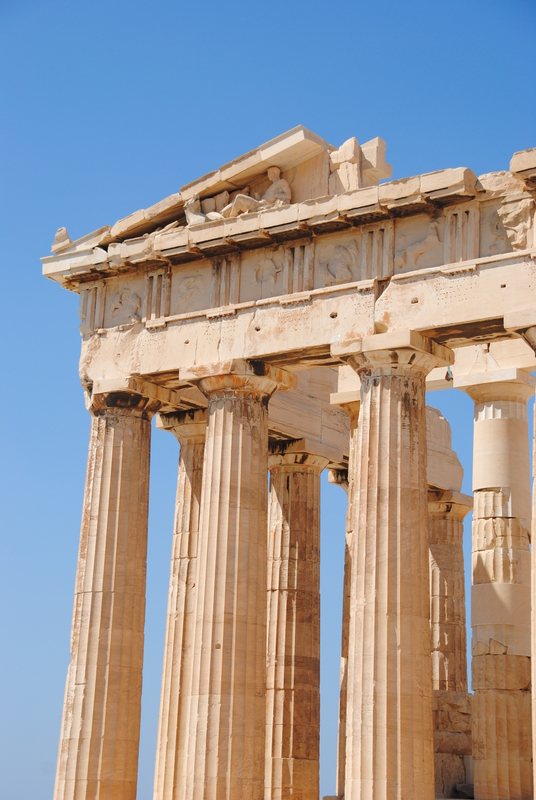 When in Athens, a visit to the Acropolis is a must. The site is one of the most important archaeological sites in the world and consist of several ancient buildings. 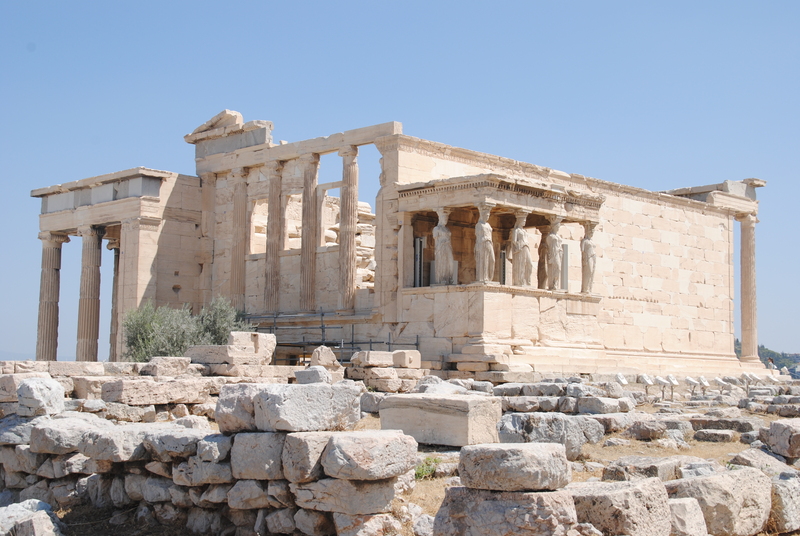 Most of the ones that are still standing today was originally built during the 5th century BC. 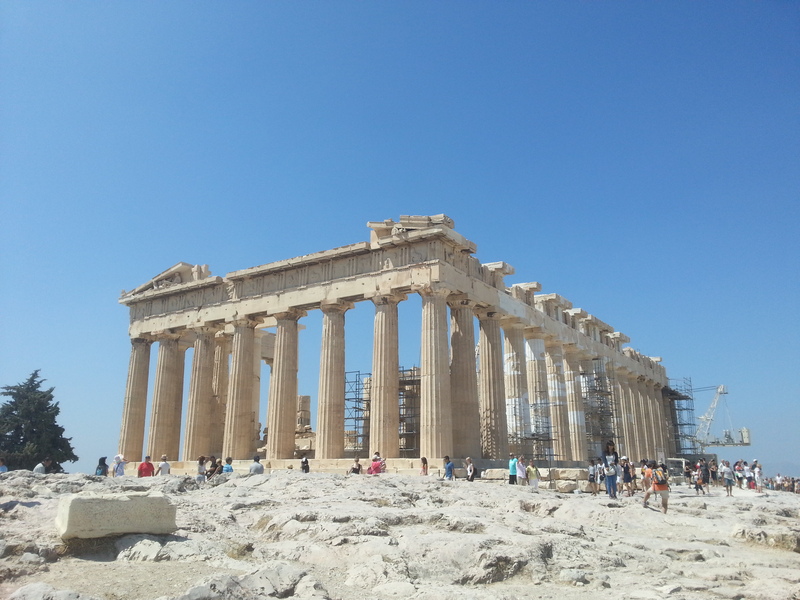 This includes the Parthenon, dedicated to the goddess Athena. As the structures are very old and fragile, quite a few of them needs to be supported to stand up. 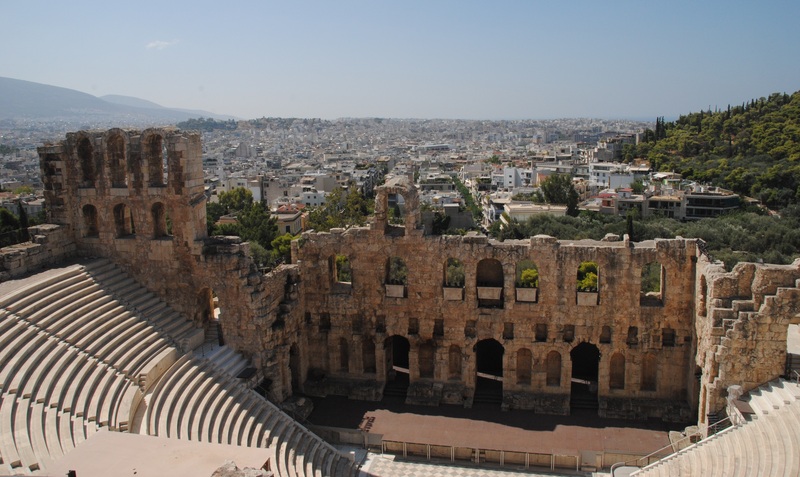 In addition to the remarkable ruins, you have an awesome view of the city. Walking down from the hill, we walked through the historical area of Plaka. 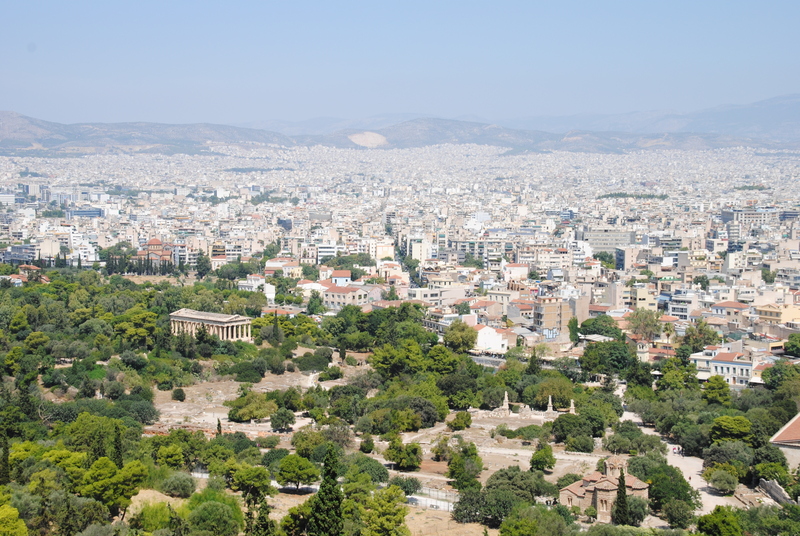 This area is built on top of the former residential area of the ancient town of Athens, and you pass many old ruins as you wander around. There is off course so many other things to experience in Athens, but sadly we had quite limited time before moving on to our journey at sea.